Slide into the season at San Diego’s exclusive waterfront holiday adventure park - HOLIDAY BY THE BAY. 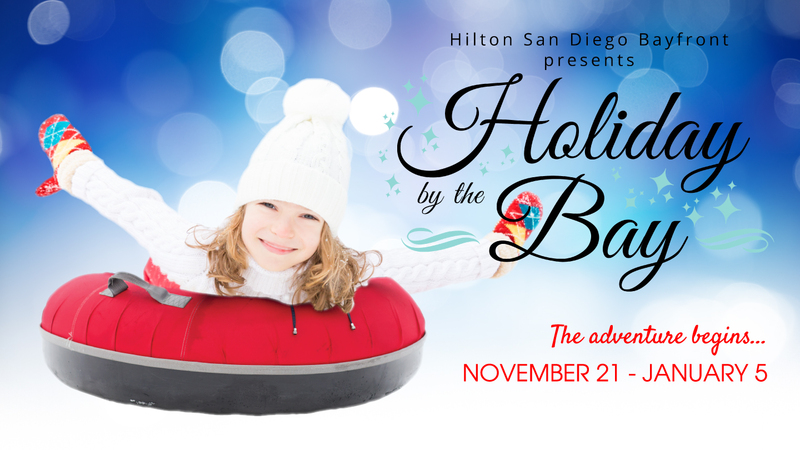 Hilton San Diego Bayfront's newly re-imagined holiday tradition features Reindeer Run, an exhilarating two-story 100 foot ice tubing slide; the Iceberg Bumpers ride; plus Shine, an hourly interactive dynamic light show. Celebrate the season with stocking trimming at Santa’s Workshop, cookie decorating at Claus Kitchen, and festive craft cocktail flights at Yule Lodge. Gather the family for sweet and savory treats from Elven Eatery and Kringle Bakery or sip cocoa and toast s’mores at a private Fireside Lounge. Re-discover your childhood at HOLIDAY BY THE BAY. The adventure begins November 21st.